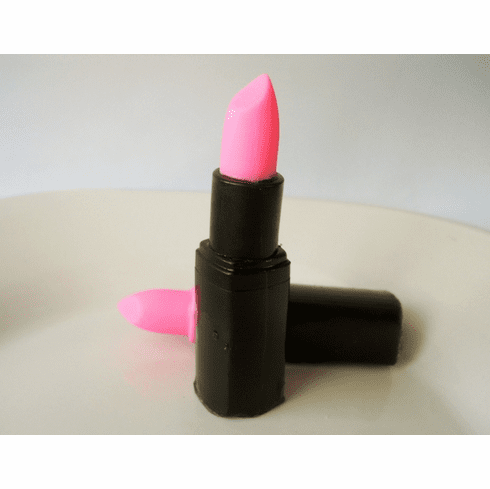 These super adorable lipstick soap party favors look like a real lipstick! Great for a girls party, bridal shower favors, bachelorette parties and more! Made with 100% vegetable glycerin soap. Vegan friendly! They come inside a clear cello bag with matching crinkle paper, a bow and a gift tag. Our default set is pink and black but I can also take custom orders for color and wrapping. Also, please let me know at check out what you would like on the tag. These favors are life-sized and weigh approximately 1 oz. We have over 100 fragrances so, if you don't see a scent that you like, let me know and I probably have it or can get it. Depending on the size of your order, lead time will be about 2-3 weeks. Due to the nature of the product and because these are made-to-order, we do not accept returns on these.